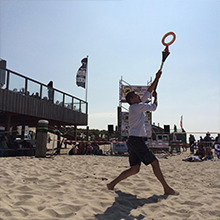 During the Slackline Open Renesse at the beach on saturday, next tot the main event there will be a funpark situated in front of Beach pavilion "De Haven van Renesse". More information about the Beach Funpark and other things to do will be provided on this website and the official Formido #SOR15 Facebook page soon! Check this websitelinks for all common info about the Funpark and all things to do. A special and exciting day at the Renesse beach. With the second official Dutch Slackline Open and the Beach Funpark for your first slackline try-out and many more.. 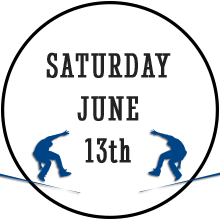 Welcome at the second official Formido Dutch Slackline Open Renesse, 12th and 13th of june 2015. Two days of sportive excitement, fun, sun, beach, dance and many many slacklining. Join the several demo's, get wasted at the opening party, watch the matches, try it yourself at the Funpark and meet the riders.. But most important.. Get impressed by the sportive ambiance and make Fun together!! When last year some guys came to me and asked if our company could support a new sporting event with some construction materials, wood and boards, I was extremely curious about their plans. I never had thought that this unique sport would surprise me so much. Me and my family visited all three days of the 2014 event and we enjoyed it to the max!. That Formido is now the actuall main sponsor and namesake of the 2015 Slackline Open Renesse event, was a simple conclusion and a no doubt descision. I'm really looking forward to the weekend of 12th and 13th of june and I sure hope that you all will join me to watch, enjoy and relax! After a very succesfull first official Dutch Slackline Open last summer and some unwanted space on my bucketlist we decided immediately to continue this event and I'm very sure that Renesse is ready for the second episode of #SOR. I'm happy to be part of the organisation and I hope to meet you all again soon at our event. See you. 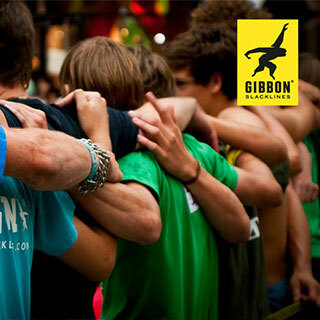 We're very looking forward to the next official slackline event in Holland. Every single organisation minute is wurth to surpass last years succes! The pleasure and fun we had together was absolute fabulous! Also this year we managed to unite with several enthusiastic partners and we're proud to be part of this sportive event. 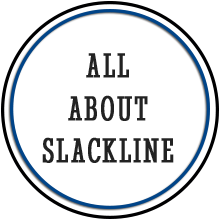 With all our media expertise and available event ingredients we will try again to accomplish the unique locations, sun, sea, beach, dance and people having fun! In short terms.. It will be awesome again! As a true sports fanatic I really enjoyed last year of the Slackline Open Renesse. Partly because of the convincing enthusiasm of the organization, but also the sporting aspect , the environment and the music of my friend DJ Benjamin Scott, brought us as professionally sound and light company quickly to the conclusion that we wanted to lend our assistance to them. We are pleased that we can support this event with our Sound Systems and knowledge! I see you there ?